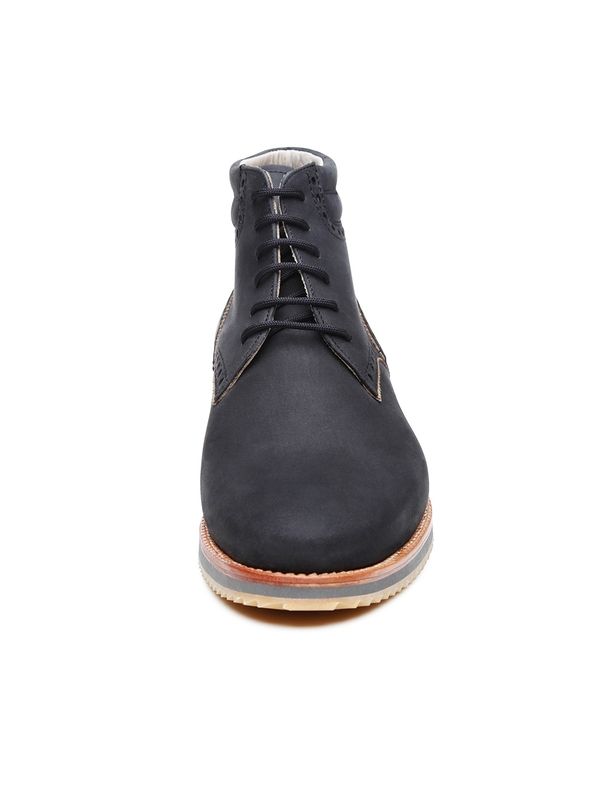 Boot Featuring a shaft that extends far above the ankle, sophisticated boots provide protection from cold and wet weather, particularly during the winter season. 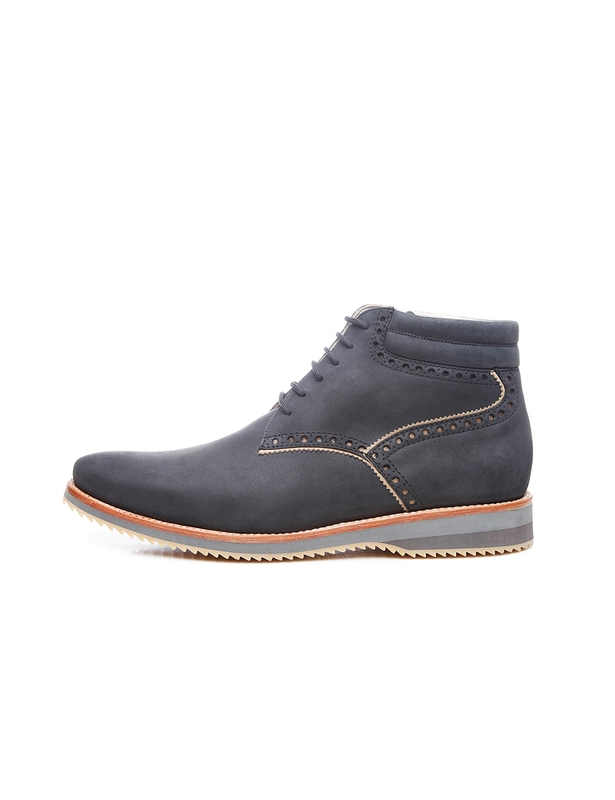 Greased Nubuck This waterproofed, greased nubuck develops a sporty look over time. 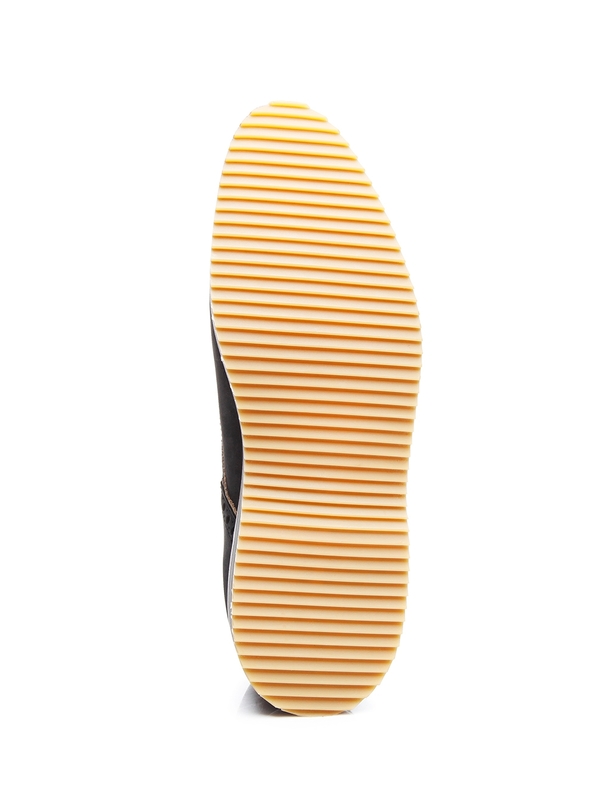 Thanks to its high fat content, it is particularly impervious to soiling and moisture. 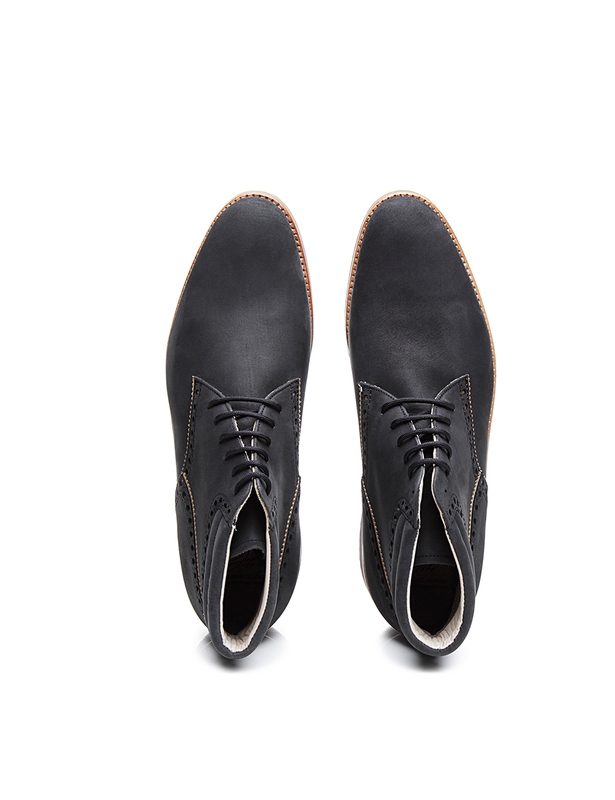 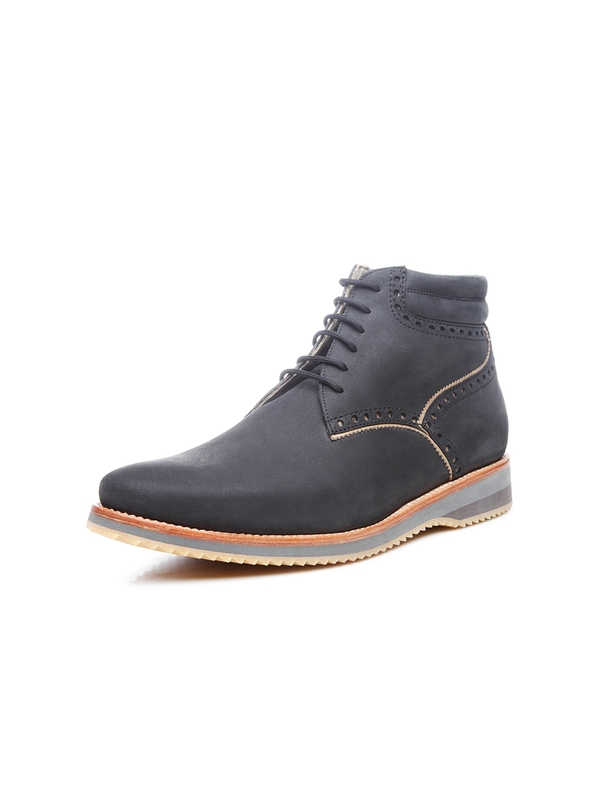 A perfect match for both sporty, elegant leisurewear as well as work clothes for those employed in the creative industries: The handcrafted, sewn-welted brogue Derby boot in grey, featuring open six-eyelet lacing. 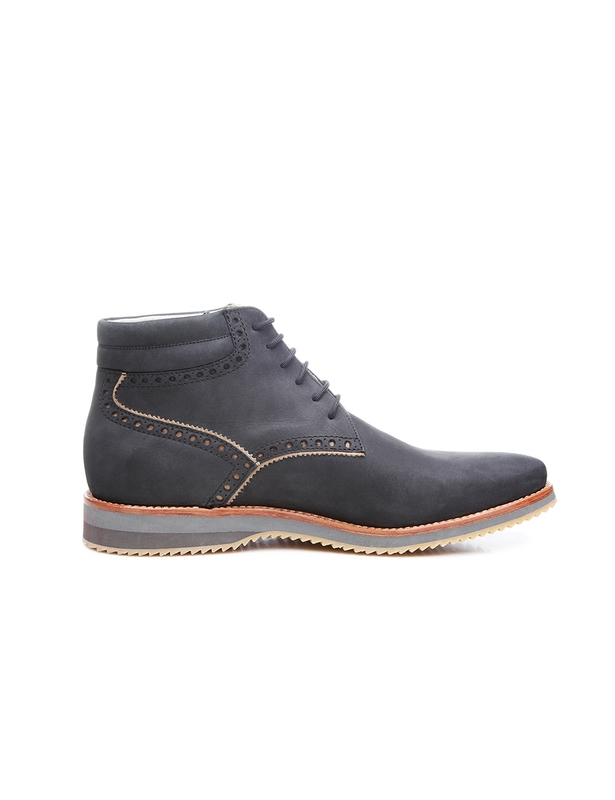 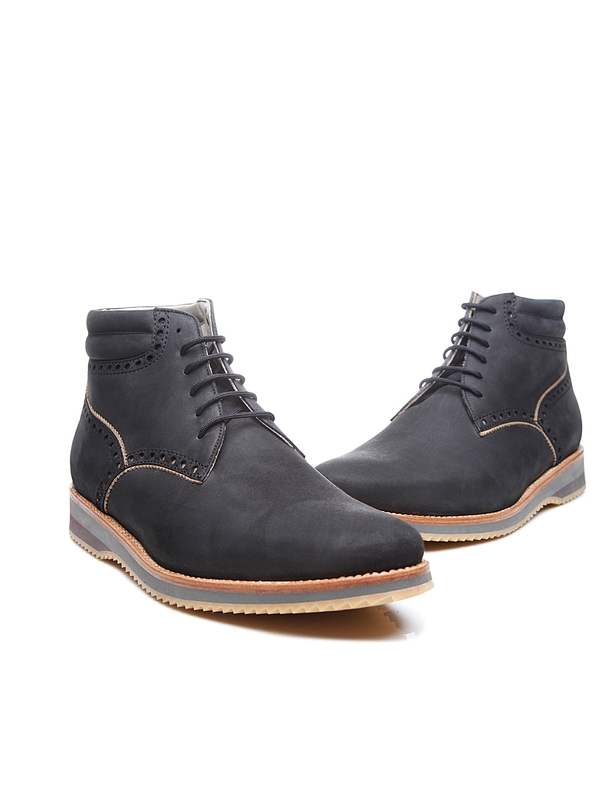 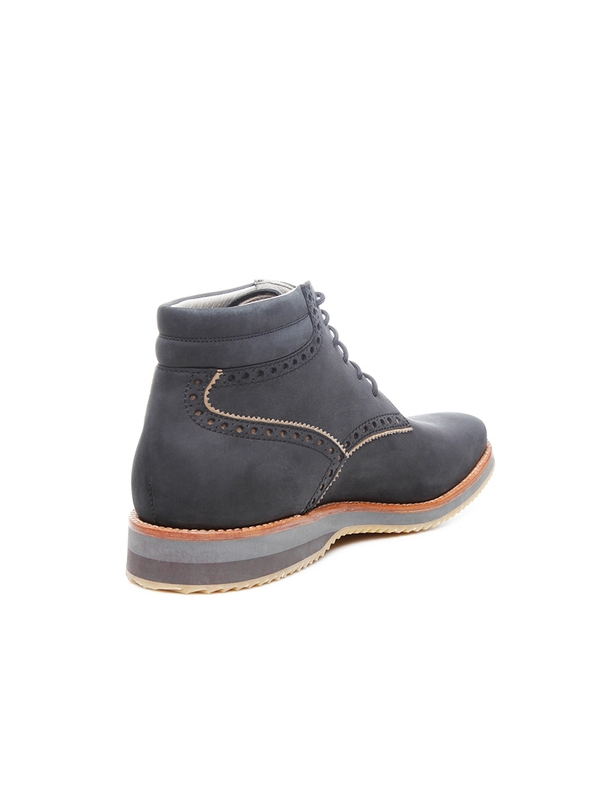 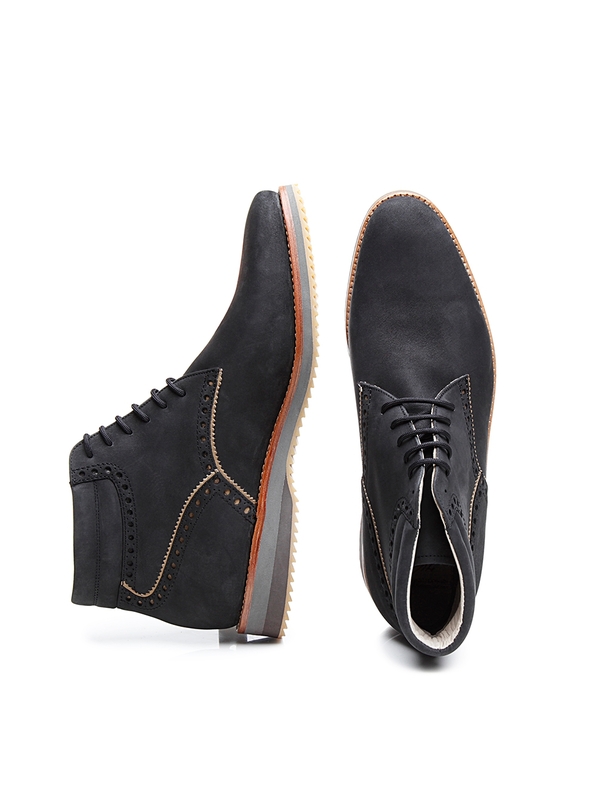 This boot features a distinctive shaft made of water-repellent greased nubuck, boasting a sporty look. 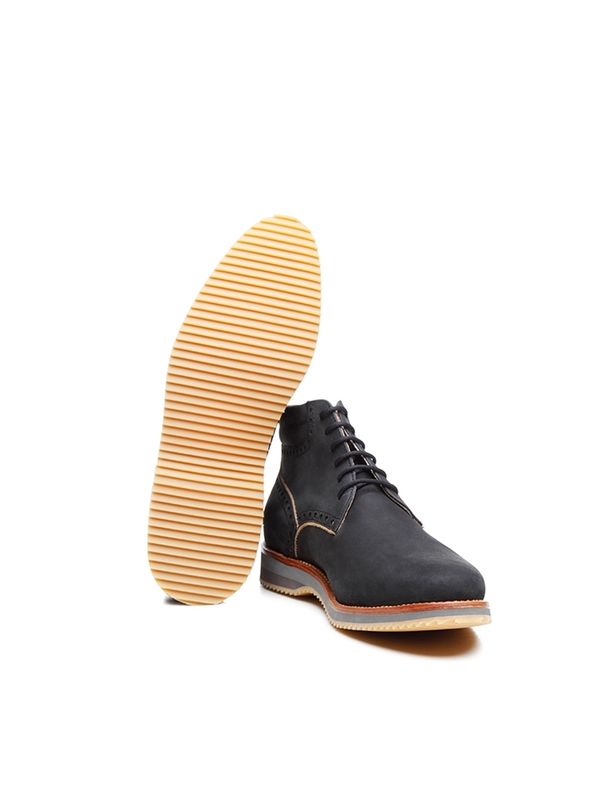 Thanks to its high fat content, this kind of leather is particularly invulnerable to soiling and moisture damage, making it a perfect choice for warm weather as well as the cold, wet times of year. 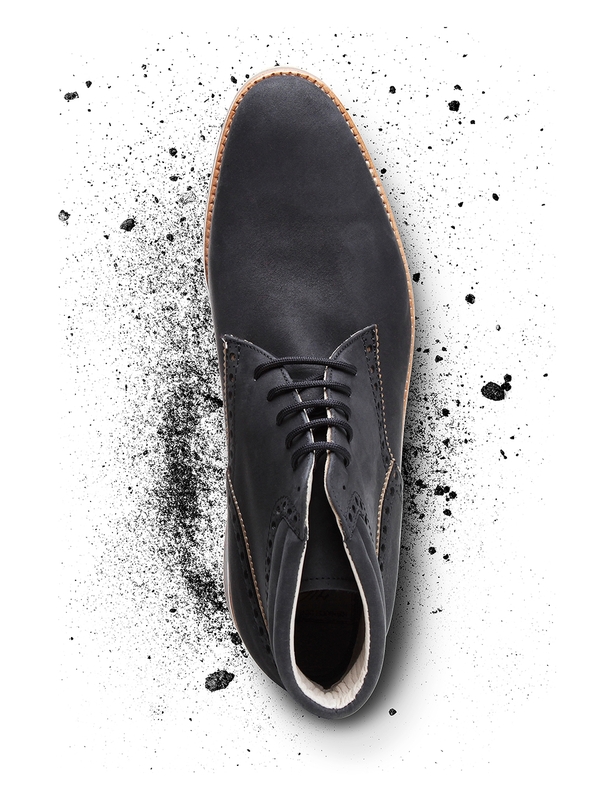 Moreover, it develops a striking patina over time that allows each pair of shoes from which it is made to turn into one-of-a-kind eye-catchers. 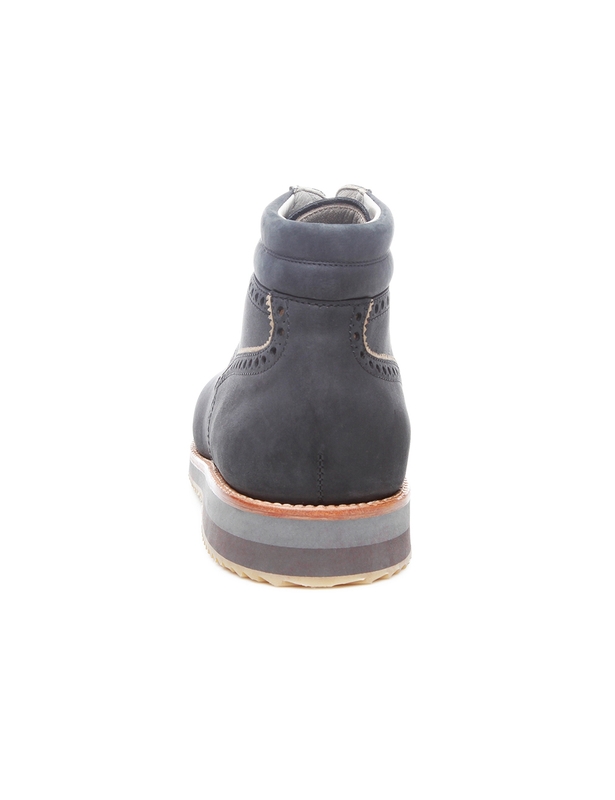 Subtle Lyra perforation along the quarters and heel cap, assembly using a gently tapering Campus last and a multi-coloured wedge sole all serve to lend this lace-up boot a modern look.